A perfect holiday in a unique coastal environment would be the best place on earth for a scintillating break. What say? Well, there could be no other place more sophisticated and more amusing than the Pajaro Dunes. Surrounded by the Pacific Ocean and dunes on one side and the Pajaro rivers and Watsonville wetlands on the other side, this coastal area gives you an opportunity to explore, enjoy and relax. The changing landscape is one of the major attractions that encourage occasional visitors. There is no greater joy than enjoying coastal wildlife right from your comfort zone. Pajaro Dunes is a cloistered community with diverse architecture that is located in between Santa Cruz and the Monterey Peninsula, spanning over an area of 1 ½ miles. 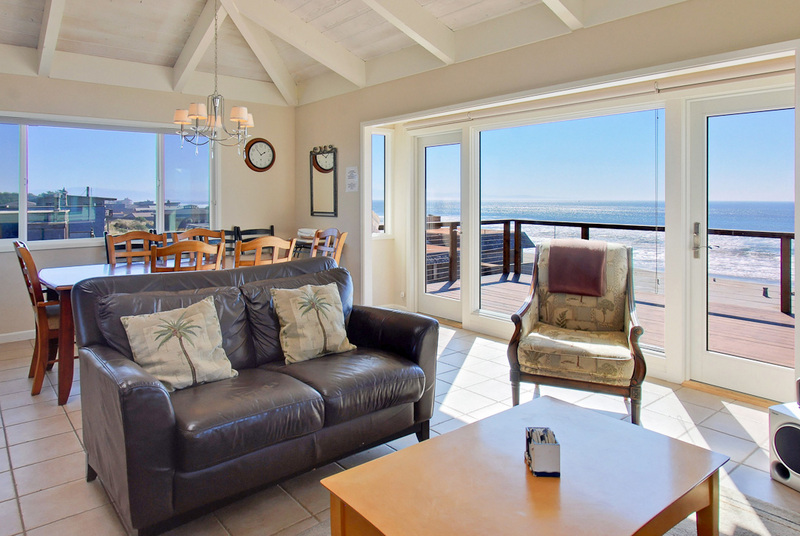 To spice up your stay here and to make you feel at home, there are a number of Pajaro Dunes Rentals which provides comfort, friendly service and convenience. Depending on how long you will stay and your budget, you can even rent a beach home or a condominium and make your base camp to experience the natural beauty. Among the hundreds of Pajaro Dunes Rentals, the Pajaro dunes vacation rental House 117 is unique and provides you with homely atmosphere. The vacation rental is located at the perfect location from where you can enjoy the mesmerizing sunset along with the breath taking scenic view. Experience the true aura of nature in a completely natural ambience at your very own Pajora Dunes House 117. At Pajaro Dunes, anyone on any budget can find room varying from a simple room with a single bed to luxurious master suites depending on your purpose of visit and the length of your stay. For family vacation, business trip, a reunion, business meeting or a group retreat, renting a delightful beach house or condo dunes is the best way to experience “joie de vivre”. Whats more! It is also the perfect hideaway for a romantic escapade for couples during weekends. Contact us to rent the best Pajaro Dunes Rentals at the best affordable price and enjoy our best healthful services. The Pajaro Dunes Vacations Rentals House 117 is one of the best well-furnished condos with granite counters in the kitchen and bathroom. It offers much more value than a traditional hotel room. Besides the cable TV and high speed wireless internet access, this three storey home has been renovated with new furniture, recessed lighting throughout the rentals and appliances to cater the needs to cater the needs of our guests and to make them feel at home. You will treasure the scenic beauty of the full ocean view that you will get to see from your window. Contact us to rent the best Pajaro Dunes Vacation Rental at the best affordable price and enjoy the best of our hospitality. Buy:Seroquel.SleepWell.Prozac.Advair.Buspar.Female Cialis.Ventolin.Nymphomax.Lasix.Wellbutrin SR.Lipitor.Lipothin.Female Pink Viagra.Benicar.Zocor.Aricept.Amoxicillin.Acomplia.Cozaar.Zetia…. Buy:Synthroid.Human Growth Hormone.Prevacid.Zyban.Petcam (Metacam) Oral Suspension.Lumigan.Actos.Valtrex.Mega Hoodia.Arimidex.Prednisolone.100% Pure Okinawan Coral Calcium.Nexium.Retin-A.Accutane.Zovirax….